Hello Moto Z2! As you guys know, Motorola has been a bit sneaky this year when it comes to leaks, launch events and surprises. The company first teased the upcoming Moto Z2 during its MWC Moto G5 launch. Then it showed most of its portfolio through a promo video celebrating the 44th anniversary of Martin Cooper making the first mobile phone call. 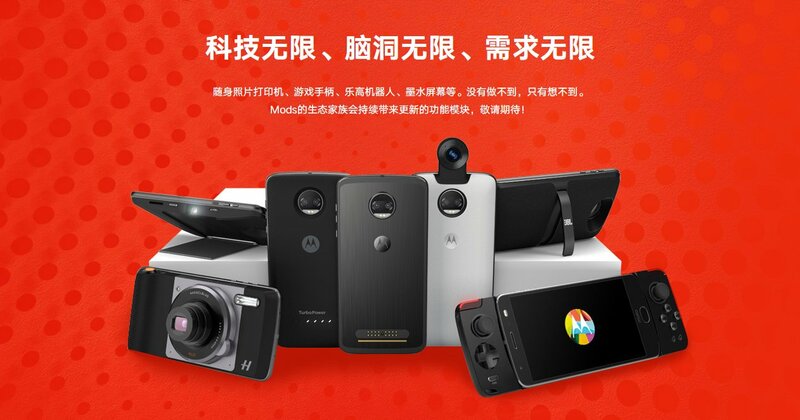 And now, Motorola's chinese website is showing a promo pic of the new 360Mod and the Moto Z2 family. As you can see from the back, it certainly looks familiar to the Moto Z2 Play. Expect a better rear feeling and more stylish design than last year's Moto Z family. Other than that, you can also see the dual-camera set up in there. There's also the Gamepad Mod and the 360 Moto Mod, which turns your phone into a 360-degree camera for social media videos. It looks really cool! We still don't know when the Z2 will launch but we can guess it'll be on July 25th, when a launch event is scheduled in New York City.